Classic! They didn’t call him “Iron Mike” for nothing! 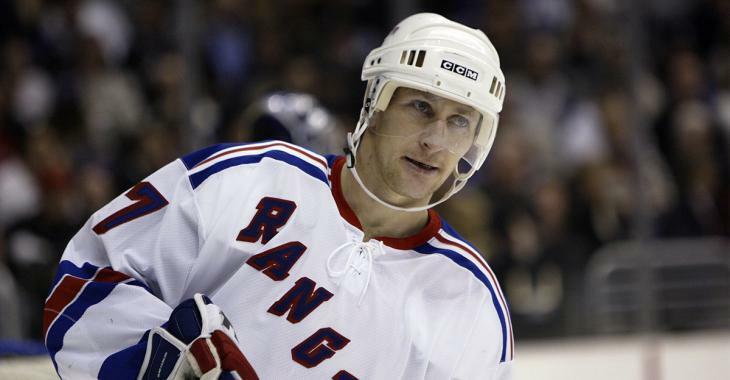 Listen to anyone who played with Russian forward Alexei Kovalev and they’ll to you that, without a doubt, he was the most skilled player in the entire NHL, perhaps in NHL history. The former New York Rangers, Pittsburgh Penguins, Montreal Canadiens, Ottawa Senators and Florida Panthers star had hands unlike anyone else in the NHL and was a master playmaker and stickhandler. If there’s one knock on Kovalev though, it’s that he wasn’t exactly the most “team first” player. Kovalev was a pure offensive talent and didn’t exactly play the defensive side of the puck with as much attention to detail as the offensive side. He was also infamous for taking looooooong shifts, sometimes two minutes or longer. You may have heard the infamous tale of his seven minute shift during his rookie season with the Rangers in which head coach Mike Keenan refused to let him back on the bench after overextending his shift. Well… during the Rangers 25th anniversary of their 1994 Stanley Cup championship Kovalev finally got his chance to ask Keenan what the deal was. Classic Kovy, classic Iron Mike. We love it.